Right on the front no need to use the car. Had a room on second floor ,they have no lift and it was a bit of a climb as I'm a pensioner. Where to find Fakenham hotels near an airport? 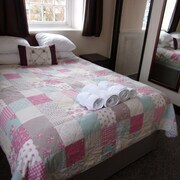 Where can I find hotels in Fakenham that are near tourist attractions? 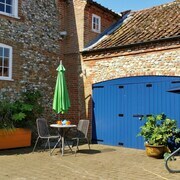 Are you visiting Norfolk and are looking for a room in or near Fakenham? About 5 hotels and apartments lie within a 0.1-kilometre (0.06-mile) radius of the center of Fakenham. There are some Expedia-listed hotels within a 10 kilometres (6 miles) radius, such as the Holly Lodge and Plume of Feathers. 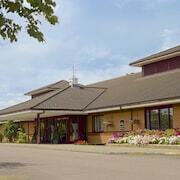 Great Ryburgh, a popular Fakenham hotel neighborhood with 2 hotels is 6 kilometres (4 miles) away. Some Expedia-listed hotels in Great Ryburgh are the The Blue Boar Inn and Melody House B&B. You could also check out the White Horse Farm and also the The Nelson. 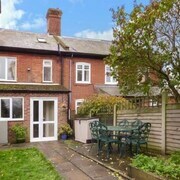 The White Horse Farm is 10 kilometres (6 miles) away from the main part of Fakenham. The The Nelson, is 14 kilometres (8 miles) away. Alternatively, investigate the The Lawns or the The Feathers Hotel. After you've seen Fakenham, take a little time to explore the other attractions in the Norfolk area. Visit Norfolk's ruins and castles or admire the region's beaches, coastal plains and forests. Tourists in this part of England commonly enjoy mountain biking and mountain climbing. Norwich is 40 kilometres (24 miles) to the southeast of Fakenham and is home to the University of East Anglia and Market Place. 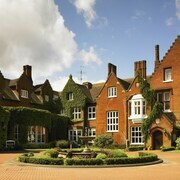 Norwich hotels are the Sprowston Manor Marriott Hotel & Country Club and The Maids Head Hotel. Or, you could consider staying in Great Yarmouth, 65 kilometres (41 miles) to the southeast of Fakenham, where you'll find the Henrys On The Prom and Burlington Palm Hotel. If you stay in Great Yarmouth, set aside a little time to visit the Venetian Waterway Gardens and Gorleston Golf Club. Before you head home, why not spend an afternoon rubbing shoulders with fellow sports fans at a local sporting fixture. York Street is 60 kilometres (37 miles) to the west of Fakenham. 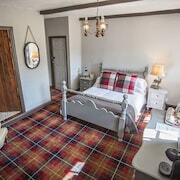 Sleep right near the action at the The New England Hotel or the The White Hart Hotel. Situated 35 kilometres (22 miles) away from Fakenham is Norwich International Airport. Stay nearby at Holiday Inn Norwich North or Mercure Norwich Hotel. What are the most popular Fakenham hotels? Are there hotels in other cities near Fakenham? What other types of accommodations are available in Fakenham? Explore Fakenham with Expedia.ca’s Travel Guides to find the best flights, cars, holiday packages and more!